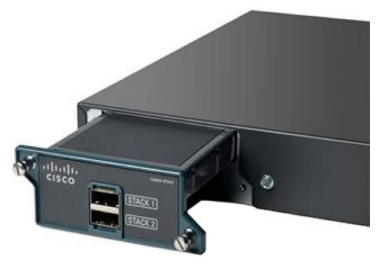 Catalyst 2960X Stacking is a so popular issue for Cisco users. How much do you know the key stacking modules for Catalyst 2960-X and Catalyst 2960-XR Series? How many types of stacking modules can be used on 2960-X and Catalyst 2960-XR? In the following part we will share the main comparison and features of three 2960-X/Catalyst 2960-XR stacking modules. The FlexStack-Plus module allows stacking over copper and provides high bandwidth of up to 80 Gbps over short distances (up to 3 m [10 ft]). The module supports stacking cable of 0.5 m, 1 m, or 3 m in length (1.5 ft, 3 ft, or 10 ft). Up to eight Cisco Catalyst 2960-X or 2960-XR Series Switches in a single wiring closet can be stacked in a ring topology with FlexStack-Plus modules and cables. The ring topology helps ensure redundancy for stacking. The module allows stacking over SFP+ ports and provides stacking bandwidth of up to 40 Gpbs over longer distance. It can be used to stack switches across wiring closets on different floors of a building or across different buildings in a campus. 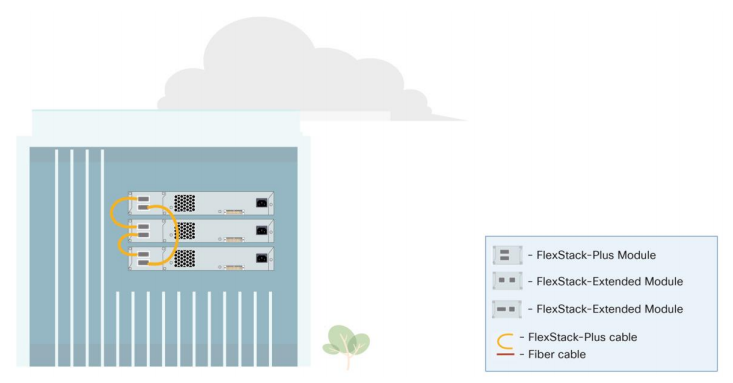 The FlexStack-Extended Fiber module has two SFP+ ports. The SFP+ transceivers supported on these ports are listed in the compatibility matrix. Chooses appropriate SFP+ transreceivers based on the distance required between switches. Individual Cisco Catalyst 2960-X or 2960-XR Series Switches spread across multiple wiring closets on different floors of a building or in different buildings of a campus can be stacked with the FlexStack-Extended fiber modules. Up to eight switches can be stacked together. 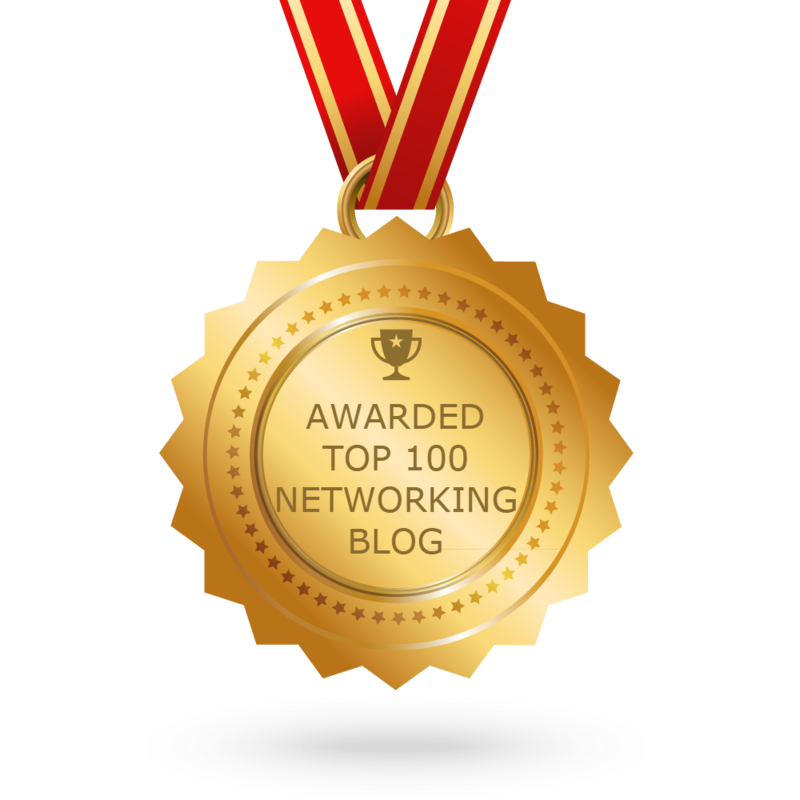 Stacking bandwidth is 40 Gbps. 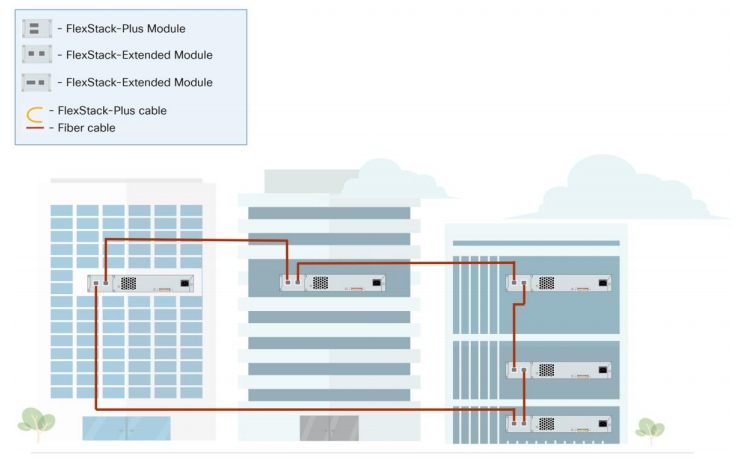 The FlexStack-Extended hybrid module has one SFP+ port and one copper FlexStack-Plus port. The fiber port allows you to extend stacking over long distances. The SFP+ transceivers supported on these ports are listed in the compatibility matrix. Choose appropriate SFP+ transceivers based on the distance between switches. 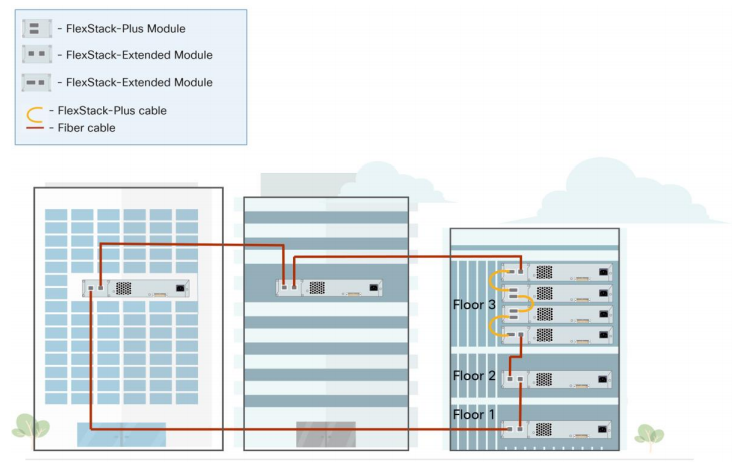 The FlexStack-Extended hybrid module allows you to combine an existing stack of switches and new switches spread across multiple wiring closets on different floors of a building or across multiple buildings of a campus. 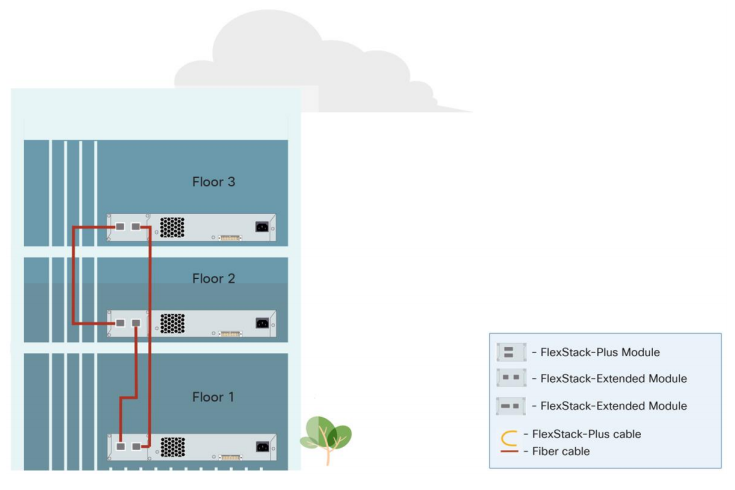 The copper FlexStack-Plus port on the FlexStack-Extended hybrid module should be connected to the FlexStack-Plus port on the C2960X STACK module. 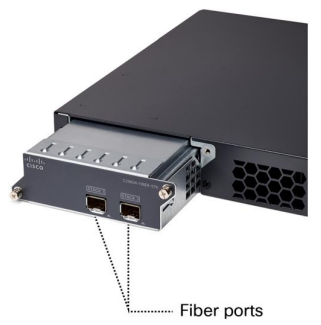 The fiber port on the FlexStack-Extended hybrid module can then be used to connect to switches over long distances. Table1 presents a comparison of the FlexStack-Plus and FlexStack-Extended modules. If there is an existing stack of Cisco Catalyst 2960-X or 2960-XR Series Switches, the hybrid FlexStack-Extended module allows you to add new switches across the wiring closet to the same stack. FlexStack-Extended modules (fiber and hybrid) are supported beginning with Cisco IOS Software Release 15.2(6)E. Refer to Tables 25 and 26 below. Why SELECT Cisco 2960-X Series? How to Install or Replace an AC Power Supply in a Cisco 2960-X Switch?